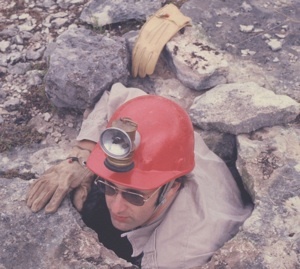 The Texas Speleological Association is the state wide caving organization. If you are interested in going caving, check out their website at: http://www.cavetexas.org/ Their Calendar Link provides the dates and activities available. Many of these are Work Projects at the caves where you can assist. After 21 years, We shut down the Texas Cave Conservancy as of October 13, 2015. I want to thank the volunteers that worked to make the Texas Cave Conservancy a great educational tool. The Texas Cave Conservancy has transferred Avery Ranch Treasure Cave over to the first cave conservation organization that I helped start, the Texas Cave Management Association. They will be using Avery Cave for public education so look for them to continue the efforts at Avery that we started. Check out the link below for additional information. Friends of the Texas Cave Conservancy will contribute to keep this web site open. Thanks to your support, the TCC has had over 2 million visits to this site. This valuable cave related public education site will still be up and running so keep on visiting us. To everyone-Thank You-Thank You- Thank-You. On October 13, 1994, several cavers gathered in New Braunfels, Texas to create the Texas Cave Conservancy. The Mission Statement of this non-member, non-profit, 501 (c) (3) Texas corporation is listed below. "The Texas Cave Conservancy is dedicated to the protection of caves, cave life, and aquifers as related to caves. We work through public education, scientific research and cave management by assisting land developers, municipalities, conservation groups, other non-profit organizations and private land- owners in the protection and management of caves." There are over one thousand known caves in the urban areas throughout Texas. Some of the best caves have been destroyed. As development continues, the goal of the Texas Cave Conservancy is to save as many caves as possible through the establishment of parks and preserves. Much of our income is from the design, construction, and the management of cave preserves. As a non-profit organization, our consultation is provided at no cost to the cave owner. Copyright © 1994-2019 Texas Cave Conservancy, Incorporated. All rights reserved.